Writing a book requires something major. It requires the right attitude, a powerful book idea, some solid writing prompts, and the best writing software out there. And we know which writing software is best for you – and more importantly, why it matters. With the best writing tools, you can write faster and more effectively. You’ll be more focused, with fewer distractions, and you can actually learn a thing or two from some of them – like Grammarly. And just as importantly, you’ll have an easier time keeping your outline, notes, and even those writing exercises organized. But even if you have all the best writing prompts and an imagination that won’t quit, you can’t do either without the right book writing software. You’ll have to make some choices. Nowadays, authors have so many options when looking for the best book writing software. Let’s get started by comparing the 3 book writing software “giants,” and then I’ll share some less well-known tools that might help improve your writing process even more. Which book writing software features are right for you? I’m not trying to sell you on any particular book writing software in this article. Instead, my goal is to give you an idea of what’s out there so you can weigh the options for yourself. Who knows—you may even discover a brand-new writing and publishing tool you absolutely love. In the end, the truth is that there are many great writing tools out there. It isn’t really a question of which tool is BEST. What it comes down to is: which tool works best with YOUR unique writing process? How easy is it to format text the way you want? Does it have templates available? Is the program simple & easy to use? Does it offer any extra features or other bells & whistles? How about a distraction-free writing experience? Can you access your files no matter where you are? How easy is it to collaborate with editors & team members? Is there distribution capabilities when it’s time to publish? Writers everywhere flock to these specific tools and claim them to be the best book writing software for them. We’ll break down each so you can decide for yourself if their features are the best fit. Before any other writing tools came along, Microsoft Word was the only option available. Everyone used it. Today, even though there are many other word processors out there, Word is still the most widely used book writing software in the U.S. Millions of people continue to use it for their writing needs. And it’s easy to see why. Word has a lot going for it! It’s been around a long time. It’s trusted, reliable, and gets the job done well. It also provides a relatively distraction-free writing experience; much better than working on Google Docs in your browser, for example, where you’re only an errant mouse-click away from the entire internet. If you just need to wake up in the morning and meet your word-count goals by keeping your head down and getting those words pounded out onto the page, then Word is an obvious choice of book writing software. No fuss, no muss. It’s about as simple as it gets. Word also offers some simple organization. While writing your chapters, changing the chapter’s heading (seen in the example below) allows easy navigation as your book progresses further and further. View > Navigation Pane (it’s a box to check) > select the bullet/outline tab within the navigation pane (seen above). You can also create your own free book writing template using Word. And if you start writing your book in Word and don’t begin with the correct formatting, it’s pretty easy to clean up your formatting to make it “book ready” with a few simple steps. If you’re a Word user and you’ve got your own system in place for writing books, then perhaps you need to look no further. But as a writing tool, Word does have some downsides. For starters, it doesn’t always play well with Macs. If you use a Mac, then Word might cause you a lot of frustration with crashes and formatting. Thankfully, Apple offers a comparable program called Pages, that we reviewed below for you. Word is also pretty vanilla. That’s part of its appeal, sure, but it also means Word lacks some of the more advanced features you get with other programs like Scrivener and Google Docs. For example, Scrivener offers more advanced outlining functionality. And Google Docs makes it easier to share and collaborate on your files. All in all, Word is a solid contender for best book writing software. But there are many other choices out there. Book Writing Software Cost: $79.99 if purchased separately. You just learned that Microsoft Word is the most widely used word processor in the world. But does that mean it’s the best book writing software? Think about it this way. The fact that Word is so prevalent means that it has to cater to all sorts of users—students, businesspeople, writers, teachers, marketers, lawyers, the list goes on and on and on. And if you’re a writer, chances are you’ve heard of Scrivener. A lot of writers absolutely love this program, with its advanced features and distraction-free writing experience. In short, Scrivener gives you an insane amount of flexibility for writing, formatting, and organizing your book. Because Scrivener was designed for writers, it’s super easy to lay out scenes, move content around, and outline your story, article, or manuscript. But as awesome as Scrivener is, it’s not perfect. And the biggest downside to using Scrivener is the steep learning curve involved. You aren’t going to master this program overnight. But if you’re serious about your writing career, then investing the time to learn this specific writing tool will be worth it. You’ll save time and energy in the long run. And if you want to learn how to use Scrivener as quickly & easily as possible, we can help! Here’s a full Scrivener tutorial so you can easily maneuver this program. If you want to dig even deeper, you can also download the Scrivener Manual, or watch the Scrivener YouTube tutorials they’ve put together at Literature & Latte. Long story short: Scrivener is an investment, but one that’s worth it. It will take some time to master. But once you get the hang of it, you’ll never go back—it’s the single most powerful book writing software out there. Essentially, Google Docs is a stripped-down version of Word that you can only use online. It’s a simple, yet effective writing tool. That will bring up the version history, where you can review all the changes that have been made to your book file and revert to a previous version if you so choose. Google Docs doesn’t require any installation and can be accessed anywhere via your browser, or an app on your phone. Plus you can access your work when you move from one location or another—no carrying a laptop or thumb drive around with you. When you share a book draft with others, like test readers or your editor, they can comment directly on the draft using the built-in comment functionality. Out of the “big 3” book writing software tools, Google Docs is probably the least sophisticated when it comes to formatting and outlining tools. But it makes up for that with easy collaboration, sharing, and online access. Let’s get to know some of the best book writing tools you can use to up your author game and make some progress. Just because you may not be familiar with a specific writing software doesn’t mean it’s not beneficial or even better than what you’re using now. Think of Pages as the Mac alternative to Microsoft Word. It has a variety of beautiful templates to choose from, has a simple design, and syncs with all devices from within iCloud so you can access it in a number of different places. Personally, I love the ease of Pages. It works great for creating ebooks or manuscripts with a variety of writing tools you can get creative with. Freedom isn’t technically a writing tool, but it sure can help improve your writing. It’s a productivity app designed to help eliminate distractions by blocking certain websites – something more than beneficial for those of us who get sidetracked easily. For example: let’s say you have a tendency to get distracted by social media sites. All you have to do us start a Freedom session that blocks all your social media sites—and then you won’t be able to visit them even if you wanted to. Notice that you have a lot of options. You can schedule one-time sessions (starting now or later), or you can set up recurring sessions (for example, to block distracting sites every day when it’s time to write). This is a really liberating tool. Once you know you don’t have the option of visiting those distracting sites, you’ll find it easier to keep focused on your writing and you’ll be able to get a lot more done. Book Writing Software Cost: $2.42/month and up, or $129 for lifetime access. If you’re a Mac owner, this might be the best book writing software for you. While you do have to pay $39.99 per year to use it, the cost to use Ulysses is completely justified. One of the best features has to be the distraction-free capabilities. As a writer who gets distracted easily, this is definitely a feature I look for in a good book writing software. This one is also great for exporting. Meaning, you can do all your writing in-app and then export it in relatively any format you’d need in order to send it to your editor, critique partner, or even beta readers. And if you’re someone who has a hard time keeping all of your notes and ideas organized for your book, this app also has a feature that helps you keep all of it straight! Say goodbye to forgetting what you wanted to add in that obscure scene you wrote two months ago! Overall, this is one of the best book writing software programs out there for Mac users. But if you’re not sure if it’s worth the price, you can actually try it for free for 14 days. What a deal! There’s not much we love more than getting stuff for free – especially when it comes to our aspirations. You don’t have to doll out a ton of cash just to use highly beneficial book writing software. In fact, there are many best free book writing software programs. FastPencil is a nice little platform with lots of tools. You can also use it for distributing your ebook. It is free to start writing with, but they offer paid services as well. Everything happens online in your browser, which means you can access your files from any computer (as long as you’re connected to the Internet). FocusWriter is a word processor for writers that’s intended to eliminate distractions to help you get your book written quicker. It’s a basic, lightweight writing tool that was designed to be completely free of progress inhibiting distractions. In its fullscreen mode, there are no toolbars or additional windows, just a background and your text so that you can concentrate solely on writing your draft. FocusWriter also allows you to choose what your screen looks like, as seen in the example below. You can customize the image in the background to suit your project to help inspire your writing. It’s simple and effective. If you need a lot of features, it probably won’t work for you. But if simplicity is your thing, then you may have found your perfect free writing tool. yWriter is a really popular word processor (intended mainly for novelists) with some impressive features (especially for a program that’s completely free). It helps keep your project organized by giving you space to include notes on all sorts of things, like character notes, scene notes, scene goals, etc. One thing that yWriter does differently than a lot of other writing programs is focus on scenes rather than on chapters. A lot of writers prefer this since scenes are usually fun chunks of story to work on. And using yWriter, you can rearrange all those scenes to compose a compelling novel. I’d call it a Scrivener alternative that’s free to use. But one downside is that it only works for Windows (at least, for now). Evernote is a note-taking app. It’s a great way to keep track of your thoughts—like brainstorming ideas, outlining chapters, and jotting down inspiration when it strikes. While Evernote has been around for a little while, they seem to always be expanding on their features, making it one of the best writing softwares out there. While you can use Evernote to write content—I’ve used it for writing blogs and other small sections of books—you wouldn’t want to use it as your main word processor. Its functionality is a bit too limited. But as a way of keeping track of ideas, it’s a great find. The Hemingway Editor is a unique kind of writing tool. It’s a style checker that’s designed to help tighten up your prose and make your writing clear and bold. Simply paste your writing into the editor and scroll through. You’ll notice that the program highlights certain words & passages—like long, hard-to-read sentences, passive verbs, and phrases with simpler alternatives. It’s basically your own personal editor rolled into a writing software. What I love about this tool is how easy it is to use. Everything is color-coded and super easy to understand, so you can see at a glance where your writing could use a little elbow grease. Book Writing Software Cost: Free, or you can purchase the desktop version for $19.99. Reading this, you may be wondering: Dropbox? How is that a writing tool? While it’s true that Dropbox isn’t a word processor like Scrivener or yWriter, it is a very helpful writing tool. Especially for writers who write on more than one computer, who need to collaborate with other writers or editors, or who want an easy way to back up their work. When you set up Dropbox and install it on your computer, it will create a new “Dropbox” folder on your machine. 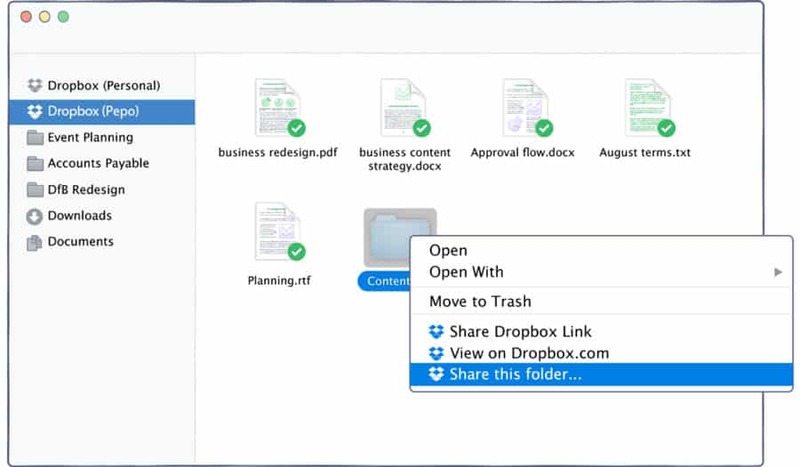 Any files that you save in this folder will be automatically backed up to Dropbox’s servers in the cloud, which will be automatically downloaded to any other computers that are synced to that same Dropbox account. Using this strategy, you can make it easier to share and collaborate on your files—even if you aren’t using Google Docs. Book Writing Software Cost: Free for a basic plan, or $9.99/month for extra storage. You may know of this software, you may not. Essentially, it’s a free version of a word processor much like Word or Pages. If you don’t have Word on your computer and can’t afford to buy it, this is a great alternative that’ll get the job done. The capabilities are pretty limited with Open Office but if you really only need the basics and don’t want to spend any money, this is the perfect writing software for you. If you’re someone who needs incentive to stay off your phone (and actually write), this is a perfect writing software. Technically, it’s not for writing. PauseFor is a productivity app designed to motivate you to stay off your phone. That means you can get more writing done by spending less time scrolling through Twitter or whatever your social medial of choice is. PauseFor is designed for YOU to set a time, and then not pick up your phone until that time is done. The longer you stay off your phone and the more sessions you complete successfully, the more you’ll have to DONATE. That’s right. You can be a philanthropist AND a writer at the same time. Simply set your time, don’t touch your phone, and collect your Kin. When you a certain amount, you get to choose where the donations go. How Much Does Book Writing Software Programs Cost? I would recommend not worrying too much about the cost of these programs. After all, dropping $100 or less on a program is not that big a deal if it is going to help improve your writing for years to come. That said, I know you work hard for your money—and you want to get the best deal you can! What’s Your Favorite Book Writing Software? Take some time to check out each of these tools if you aren’t already using them. Stay focused on crafting your next book and stick with the book writing software that gives you the best results in terms of saving you money, time, and frustration. Keep writing. Keep it simple. Best of all, enjoy the creative process! Now that you have these awesome tools at your disposal, what is your favorite writing tool? What best suits your needs as an author? Can you speed up the writing process with any particular tool? Writing a book takes a lot more than discovering some helpful book writing software. Here’s what you can do right now to head in the right direction with your book. #1 Join your free training! The process of learning never stops when it comes to writing and publishing a book. And just because you have a fancy piece of software doesn’t mean writing a book will come naturally. Don’t just pick one of these writing software options and be done with it. Sometimes you really need to try them out before you can determine which will fit your needs with your current project. Make some notes as you work through a few and be sure to put together a pros and cons list to ensure you’re choosing the best option to propel you forward on your writing journey. I know it might seem fun to get started once you have a super helpful writing platform to use, but you need to nail down your book idea first. Have you created your mindmap? How does your outline look? Without these two necessities, you won’t get very far – even with some beneficial writing software. Do you use one of these writing software programs? Let us know how they are below!